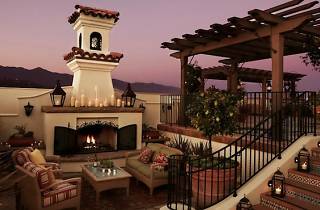 Nestled in the heart of downtown Santa Barbara, this boutique hotel charms its visitors with thoughtful amenities and gorgeous city views. Each intimate Spanish-style room comes with an incredibly cozy four-poster bed, hardwood floors, hand-painted tiles and—why not—a complimentary yoga mat. Hotel restaurant Finch & Fork provides delicious shareable tapas such as fish tacos and lamb burgers that can also be enjoyed in your room or on the roof terrace. 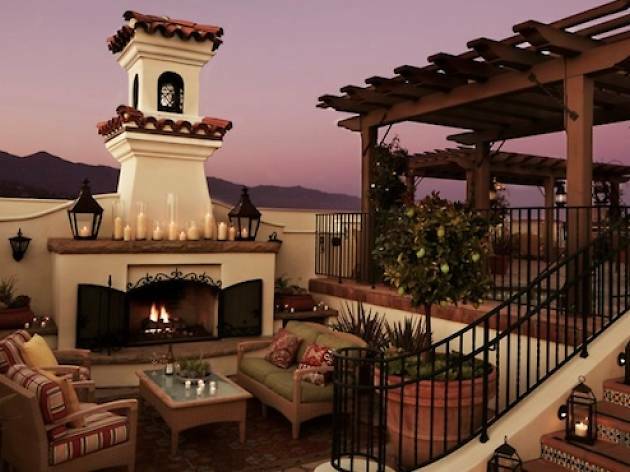 The rooftop is the true gem of the hotel—lounge by the pool and admire the 360 degree views from mountains to sea, or cozy up by the outdoor fireplace while stargazing. The Canary is also very pet-friendly, without additional fees or restrictions. With this kind of hospitality, you might find it hard to leave.